And now for something completely different. As you’ve probably surmised, I do so like sailing in weird random places like, oh, I don’t know, Russia. And who doesn’t like to dream about ambling down the beach of impossibly soft sand and blue, blue water of the Coco Point Lodge. And don’t even get me started on all the badassness that’s coming out of Gunboat these days. And I must admit that I do so love covering all that is cool, and super, and luxurious, and tres’ exclusive in the rarefied world of superyachts, BUT…when it comes to the pure fun of sailing, it’s really hard to compete with a small fast boat. My beloved sunfish is so very beloved because it allows you to feel the wind and get wet and experience a sensation of speed that bigger boats just can’t deliver–except for those badass Gunboats. 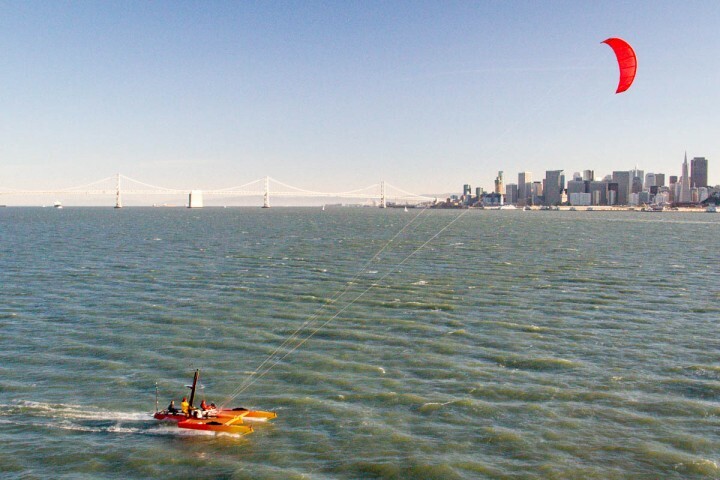 And while I’ll also be the first to admit that I’m much more of a sailor than a “kayaker,” the badass carbon sailing kayaks that the super smart folks at Warren Light Craft build might change my mind. 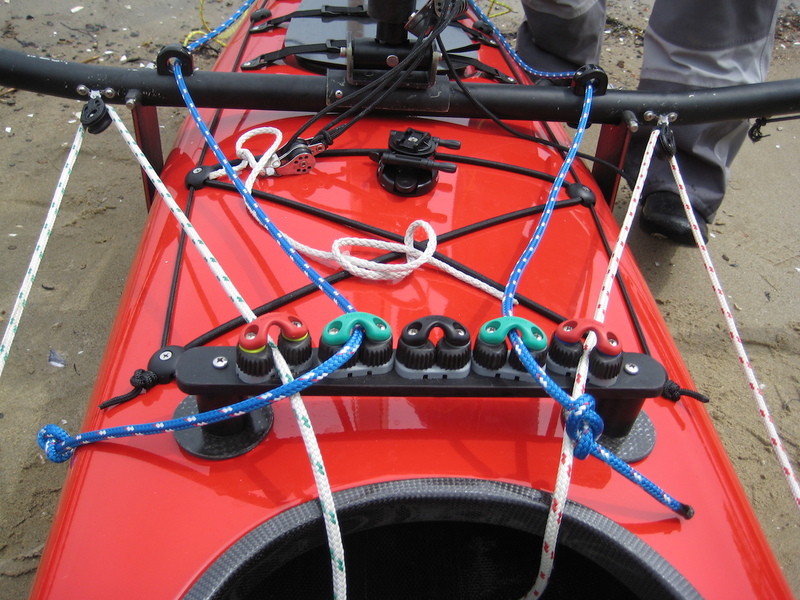 In fact, they have almost nothing in common with the heavy plastic kayaks most of us are familiar with. In fact, Warren Light Craft kayaks are the coolest, smallest, and dare-I-say the fastest and funnest sailing kayaks on the planet. On second thought, these aren’t really kayaks at all. The Little Wing 15.5 sail is really just a high-tech trimaran that happens to tip the scale at a featherweight 68 pounds all in. 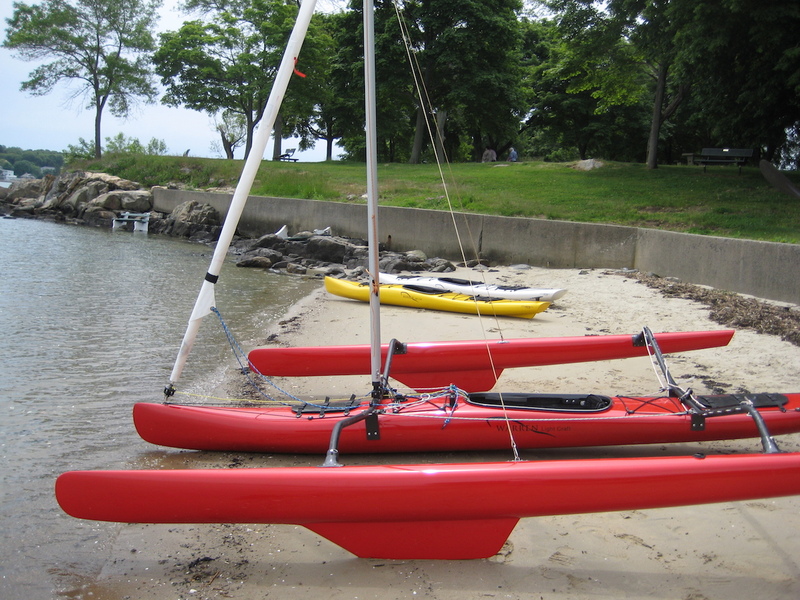 And as we all know–light is fast when it comes to multihulls (or, kayaks too from what I’m told). 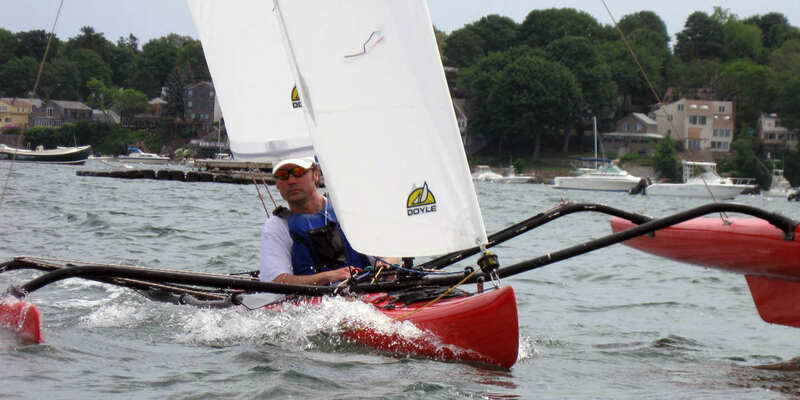 The Little Wing 15.5 sail may be the most cost-effective way to go really fast there is. And the cool thing is, you get a state-of-the-art kayak out of the deal too.